Join our complimentary rewards program and gain access to our best deals and exclusive perks. 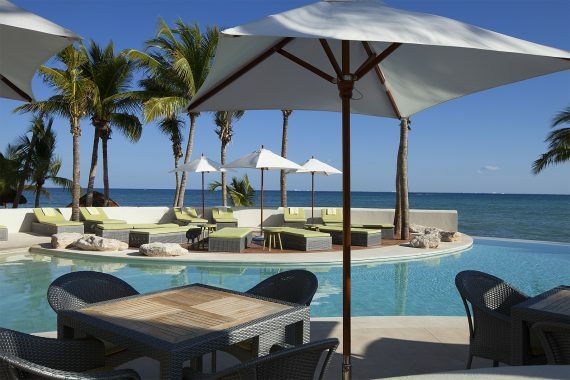 The coastal resort town of Playa del Carmen has a unique way of doing just about everything. From live music venues to trendy dining and dancing spots along 5th Avenue, if you’re looking for a different Mexican experience on the incomparable Caribbean coast, Playa del Carmen is the place to be. Accessible to the ancient Mayan sites of Tulum, Coba. Chichen Itza, and the famed eco-arrchaeological park of Xcaret, adventures are only a short drive away. And don't forget the vibrant marine life, underwater caverns or cenotes and nearby coral reefs - all of which make this area a world class diving and snorkeling destination. Nestled between dense Riviera Maya jungle and spanning 920 feet of pristine beach, the Mahekal Beach Resort takes the Playa del Carmen experience to a true authentic level, embodying a Swiss Family Robinson feel, with its authentic bungalow-style accommodations on the beach, or viewing the turquoise water or in the resorts lush gardens, blending Mexican tradition with design-forward details. 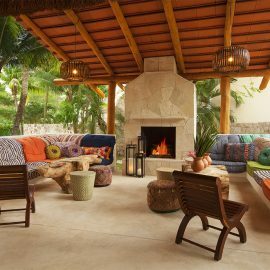 The resort's guestrooms and lobby highlight touches of Mayan culture, while pools, restaurants and bars create a welcoming vibrant feeling - a combination unlike anywhere else in Mexico. 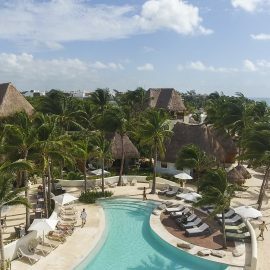 This vacation destination featuring refreshing pools and sun-drenched beachfront, also includes an array of on-site features, including Revive Spa at Mahekal, with individual and couples' treatment rooms, relaxation lounges plus fitness facility. 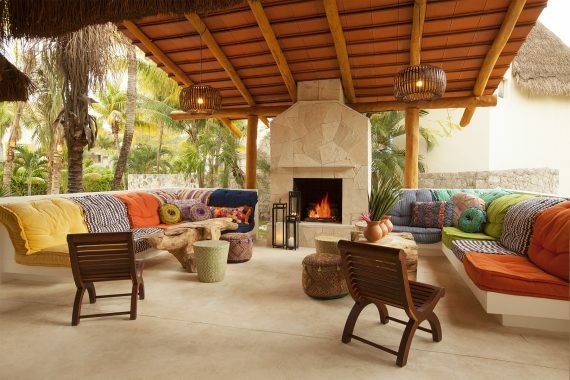 The resort's most poplular restaurant is Fuego Restaurante y Cantina, an oceanfront "Tulum-style" restaurant and cantina that utilizes a wood-burning oven. Newly crafted wedding, meeting and event venues span 4,500 square feet, providing dynamic, flexible room for unforgettable events and memorable locations for your wedding ceremony and photos. The most trusted dive center in Playa del Carmen is on-site - Vida Aquática Dive Center offers expert-led dive and snorkeling tours, lessons and expeditions. 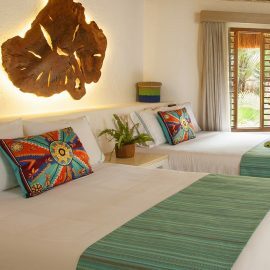 New additions in the last year include an on-site ice cream shop, and a boutique featuring Mahekal-brand beachwear and unique, locally procured art and gifts, situated alongside the resort's artisan pottery hut. But perhaps the most endearing side of this Playa del Carmen resort, is its staff. Guests return year after year, and catch-up with their favorite waiters and bartenders, or Ignacio Boli, our world famous concierge (Who has a bar at Mahekal named after him - a cozy, fun alternative to the bars on 5th Avenue.). 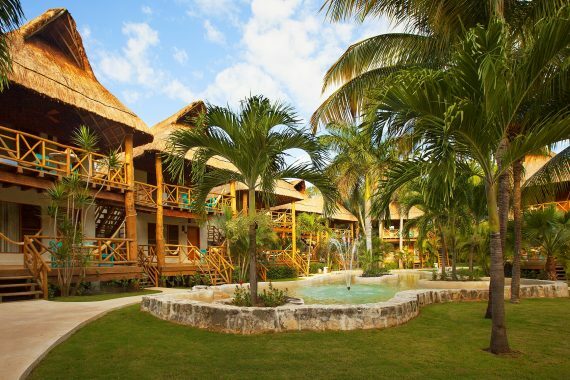 Let us welcome you on a memorable, magical escape. 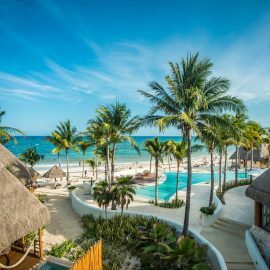 Playa del Carmen weddings don't need to be stressful, at Mahekal Beach Resort our attentive staff will guide you through every step of the event planning process. Each member of our team offers unique expertise for planning weddings in Playa del Carmen and can help you to select the perfect local entertainment and decor. Whether you need to reserve a room block for your guests in our newly revitalized accommodations or are seeking to craft the perfect catering menu to celebrate, our team will take the lead in planning your ideal Playa del Carmen beach wedding. Experience the wonder of fresh, authentic Mexican cuisine at Mahekal Beach Resort's incredible Playa del Carmen restaurants. From delectable light bites and cocktails served poolside to a robust buffet featuring ropas tacos and fresh ceviches, Mahékal Resort's Playa del Carmen restaurants and bars will take you on a cultural journey through intensely creative cuisine. 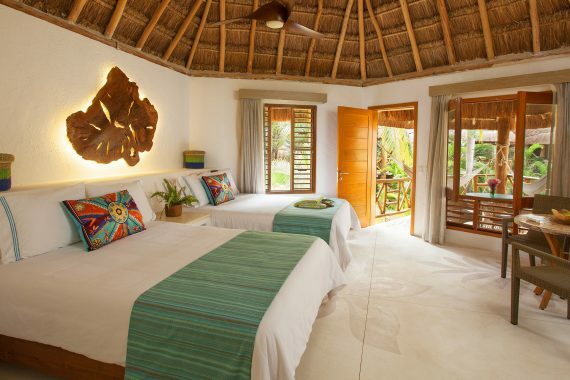 Guests of Mahekal Beach Resort can enjoy the use of bicycles, non-motorized water sports, beach/pool towel service and more with a $25 USD daily resort fee. The service will apply to all reservations booked on or following January 1, 2019. ...The staff AMAZING... the views and beach... AMAZING! Mahekal is our piece of paradise that we will continue to come back time and time again. oh and PS. No spring breakers!!! We love that. It's very family and couples oriented.